The very special healing modality is brought forth to the United States with approval from the world-famous spiritual healer in Brazil, known as John of God. The crystal healing bed is connected with the energies of the Casa de Dom Inacio, including John of God himself, and the spirit healing entities of the Casa. Candie Sanderson offers John of God Crystal Healing Bed sessions during the People Shine Holistic Fair at Church of Spiritual Light in Ft. Myers, Florida. These sessions offer a truly nurturing and powerful John of God Crystal Healing Bed experience. The healing studio walls are treated with pink Himalayan Sea Salt and the room is filled with salt lamps providing a very grounding and cleansing atmosphere to support the high vibrational work of the crystal therapy. One explanation for the opportunities for healing through the crystal bed therapy is that the highly structured vibrational energies resonating from the crystals helps to re-organize the water in the tissues and cells of the body, allowing the body's own innate powers of healing to be supported. Our physical and spiritual bodies are made from and are surrounded by energy. We store and create the energy inside us and around us. Some energies create sickness and illness, while others help us to release these energies. For thousands of years, we have used crystal energy to amplify, heal and clear the energies in our bodies. There are over 60 references to the use of crystals in the Bible and hundreds more in ancient spiritual text and in all cultures throughout Earth’s history. 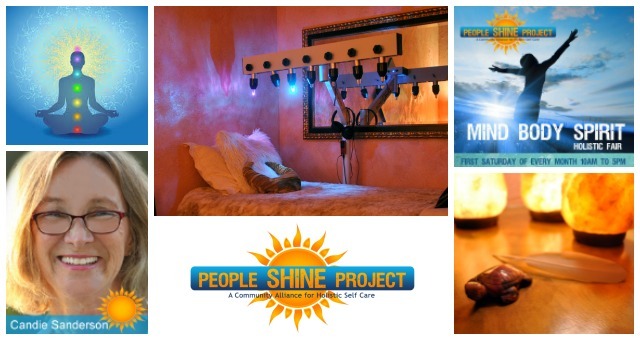 The People Shine MIND-BODY-SPIRIT Holistic Fair is every first Saturday of the month. It is located in Fort Myers, Florida. 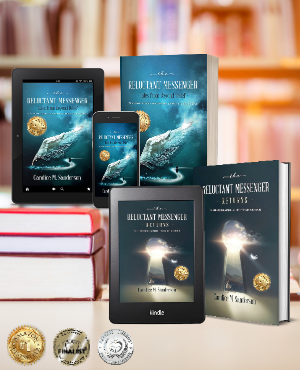 "Candice Sanderson's book is instantly approachable and ultimately satisfying as an exposé of what it means to be human on this planet at this time, in this age."